Designers Fountain 3 Light Height Devonshire Outdoor Pendant, Black 2984-BK | Fountain City Art Ctr. 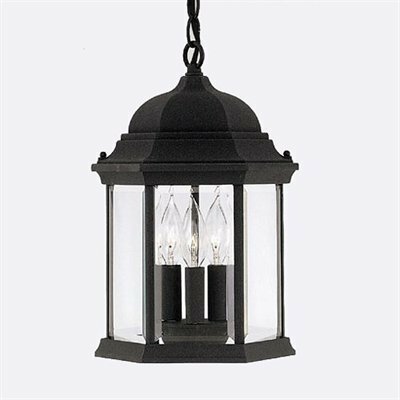 Designers Fountain 3 Light Height Devonshire Outdoor Pendant, Black 2984-BK by Designers Fountain at Fountain City Art Ctr.. MPN: 2984-BK. Hurry! Limited time offer. Offer valid only while supplies last. Cast aluminum six sided lantern with clear beveled glass panels. Black finish. Cast aluminum six sided lantern with clear beveled glass panels.